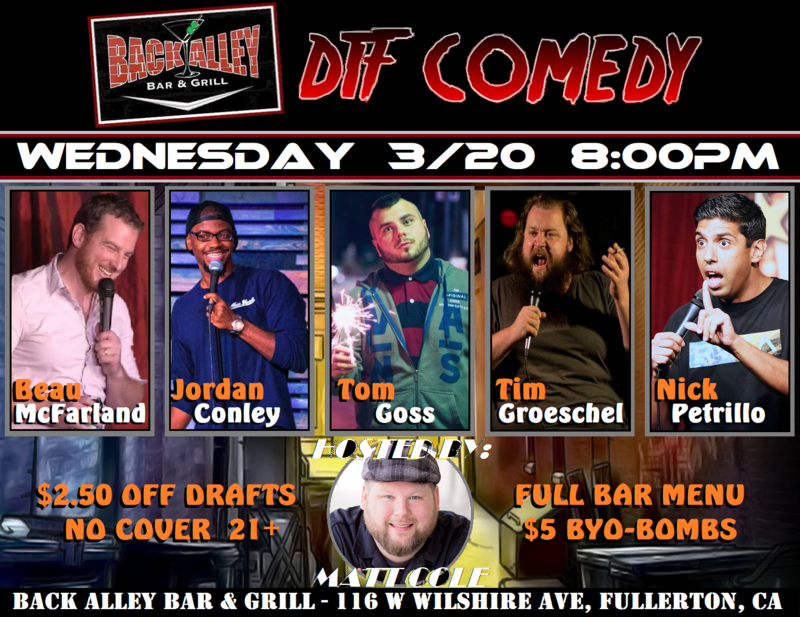 Join us the 3rd Wednesday of every Month for a HILARIOUS night of Comedy at Back Alley Bar in Downtown Fullerton. 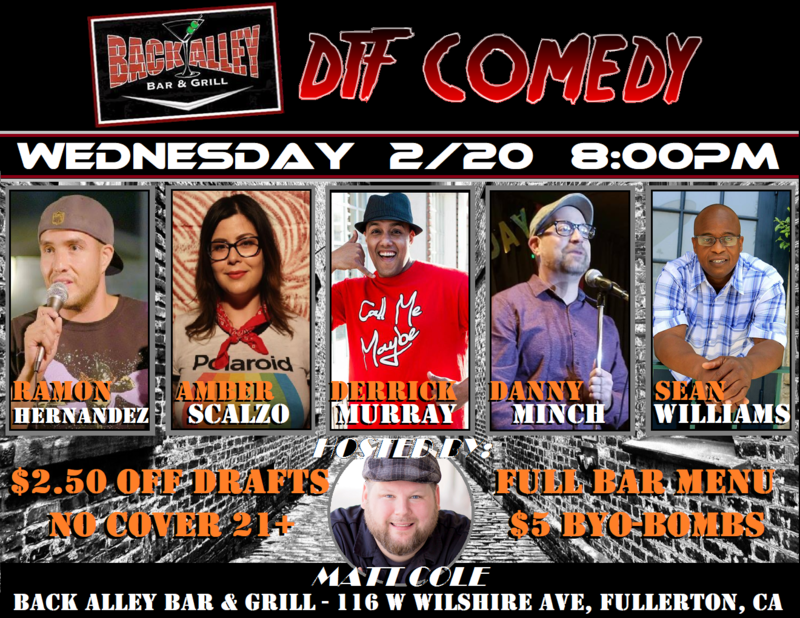 We bring in some on the BEST professional touring comedians and local comics from the surrounding area (LA/OC) for 90 minutes of non stop laughter! 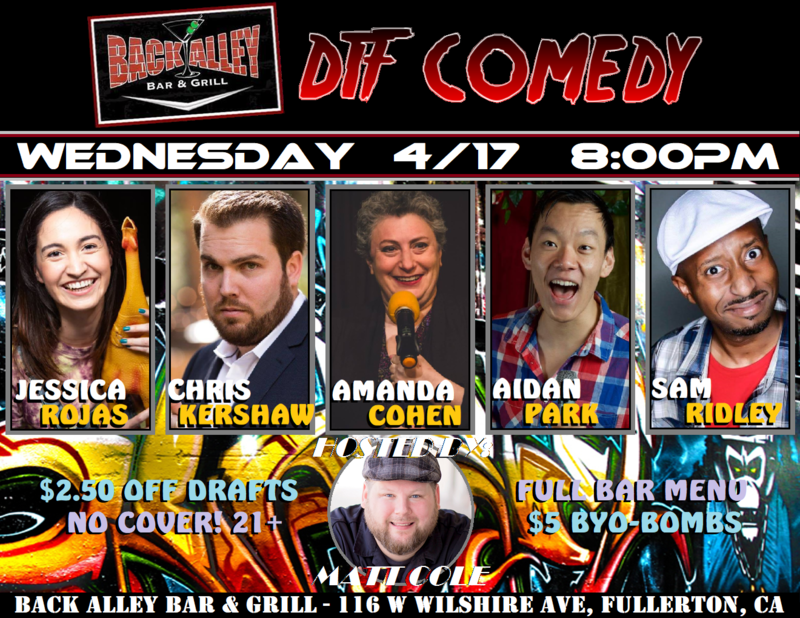 We feature comics who have been on Comedy Central, Last Comic Standing, and Late Night Television. The best part is you get in FREE! No Cover with a suggested 2 drink minimum. 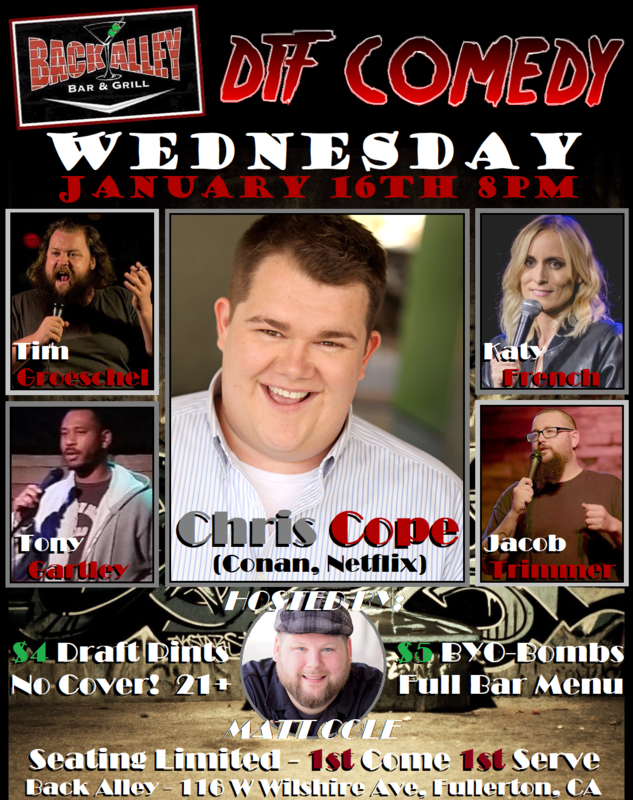 Showtime is 8pm – Be sure to get here early for $4 Draft Pints and $5 BYO-Bombs! – VIP seating is limited.